As usual, I have made a sample data for illustration. 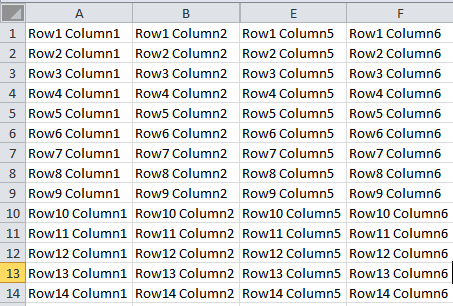 Today's sample data is an interesting one. 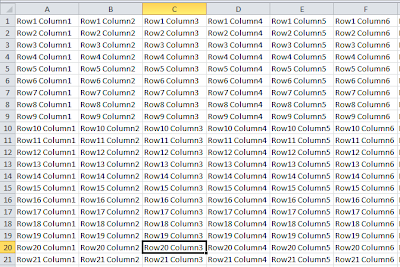 for Cell A1 and drag across other cells to populate them. 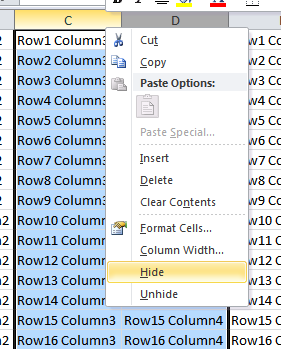 Now we are going to hide Columns C and D. Select Columns C and D. Rightclick and select hide. Here's the result. Columns C and D are no longer in view! 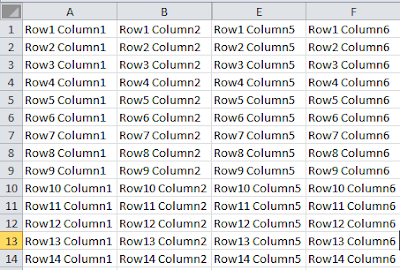 Let's do for rows too. 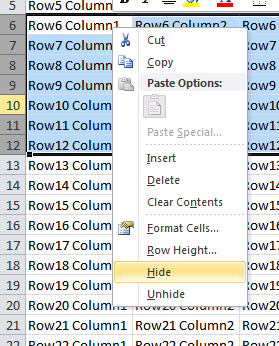 We are going to hide rows 6 to 12. So, select them. 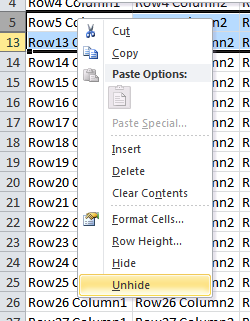 Rightclick and hide. 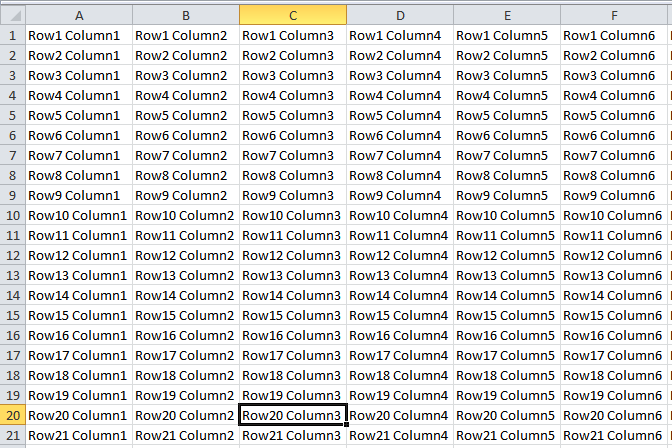 As you can see above, Columns C and D are not visible. 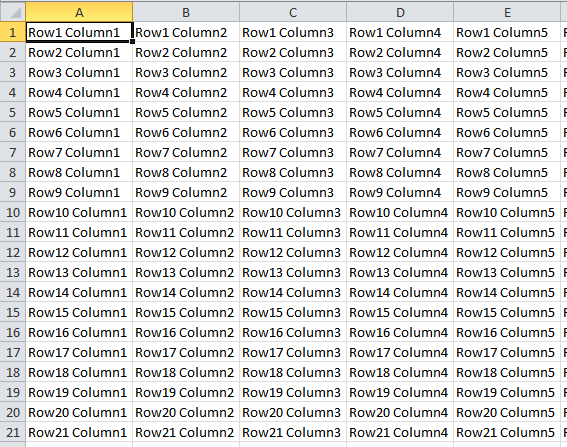 Same with Rows 6 to 12. 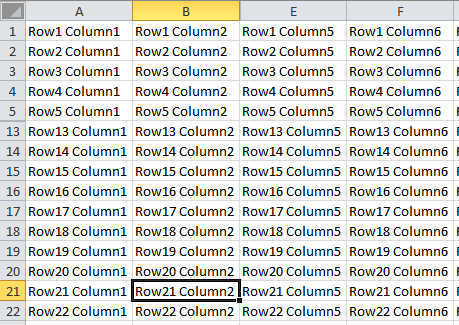 To unhide rows or columns, you have to select the row/column before the hidden ones and the row/column after the hidden ones. 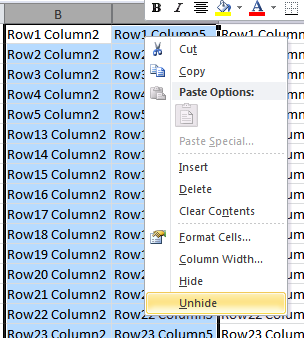 In our case, to unhide Column C and D, we'll have to select Columns B and E. Then rightclick and unhide. 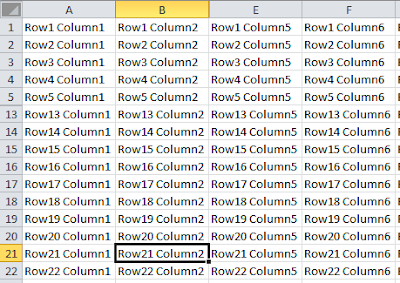 We'll do for the rows by selecting Rows 5 and 13. 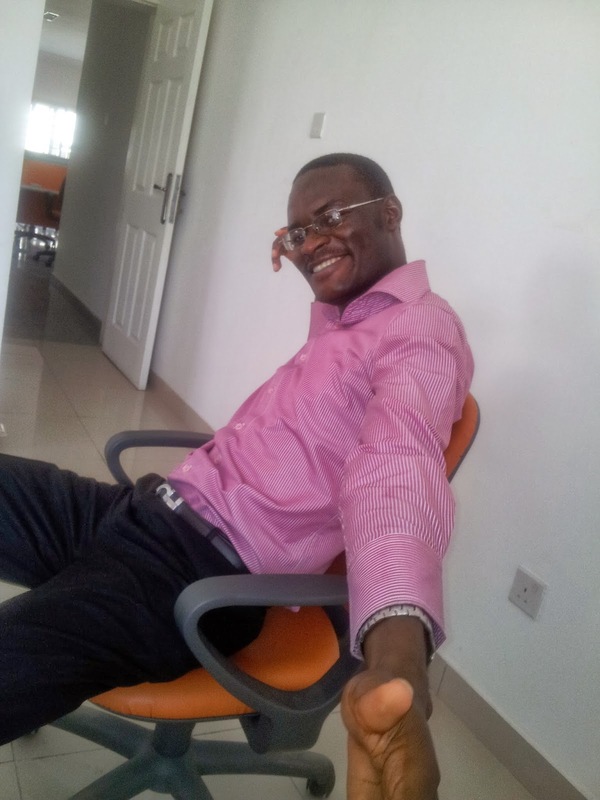 Rightclick and unhide. 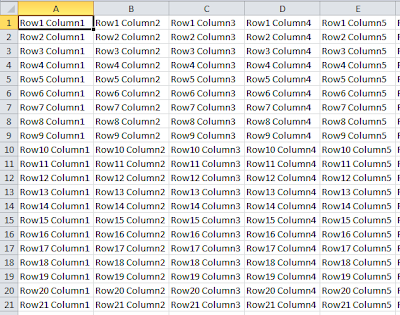 You've just learned a simple task that can ease your Excel life immeasurably.